In order to complete this guide, you should have a fresh Ubuntu 16.04 server instance with a non-root user with sudo privileges configured. You can learn how to set this up by running through our initial server setup guide. We will be installing Django within two different virtual environments. This will allow your projects and their requirements to be handled separately. We will be creating two sample projects so that we can run through the steps in a multi-project environment. Once we have our applications, we will install and configure the uWSGI application server. This will serve as an interface to our applications which will translate client requests using HTTP to Python calls that our application can process. We will then set up Nginx in front of uWSGI to take advantage of its high performance connection handling mechanisms and its easy-to-implement security features. We will be installing our Django projects in their own virtual environments to isolate the requirements for each. To do this, we will be installing virtualenv, which can create Python virtual environments, andvirtualenvwrapper, which adds some usability improvements to the virtualenv work flow. We will be installing both of these components using pip, the Python package manager. We can install this utility from the Ubuntu repositories. Now that you have pip installed, we can install virtualenv and virtualenvwrapper globally. With these components installed, we can now configure our shell with the information it needs to work with the virtualenvwrapper script. Our virtual environments will all be placed within a directory in our home folder called Env for easy access. This is configured through an environmental variable calledWORKON_HOME. We can add this to our shell initialization script and can source the virtual environment wrapper script. You should now have directory called Env in your home folder which will hold virtual environment information. Now that we have our virtual environment tools, we will create two virtual environments, install Django in each, and start two projects. We can create a virtual environment easily by using some commands that the virtualenvwrapper script makes available to us. This will create a virtual environment, install Python and pip within it, and activate the environment. Your prompt will change to indicate that you are now operating within your new virtual environment. It will look something like this: (firstsite)user@hostname:~$. The value in the parentheses is the name of your virtual environment. Any software installed through pip will now be installed into the virtual environment instead of on the global system. This allows us to isolate our packages on a per-project basis. This will create a directory called firstsite within your home directory. Within this is a management script used to handle various aspects of the project and another directory of the same name used to house the actual project code. Move into the first level directory so that we can begin setting up the minimum requirements for our sample project. You will have to select a username, give a contact email address, and then select and confirm a password. You can type "yes" to confirm the action and collect the static content. There will be a new directory calledstatic in your project directory. After testing this functionality out, stop the development server by typing CTRL-C in your terminal. We can now move on to our second project. The second project will be created in exactly the same way as the first. We will abridge the explanation in this section, seeing as how you have already completed this once. The new environment will be created and changed to, leaving your previous virtual environment. This Django instance is entirely separate from the other one you configured. This allows you to manage them independently and customize as necessary. When you've confirmed that everything is working as expected, type CTRL-C in your terminal to stop the development server. 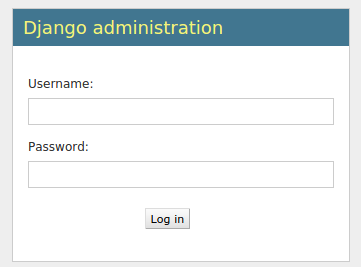 Now that we have two Django projects set up and ready to go, we can configure uWSGI. uWSGI is an application server that can communicate with applications over a standard interface called WSGI. To learn more about this, read this section of our guide on setting up uWSGI and Nginx on Ubuntu 14.04. Unlike the guide linked above, in this tutorial, we'll be installing uWSGI globally. This will create less friction in handling multiple Django projects. Before we can install uWSGI, we need the Python development files that the software relies on. We can install this directly from Ubuntu's repositories. Now that the development files are available, we can install uWSGI globally through pip. Here, we've told uWSGI to use our virtual environment located in our ~/Env directory, to change to our project's directory, and to use the wsgi.py file stored within our inner firstsite directory to serve the file. For our demonstration, we told it to serve HTTP on port 8080. If you go to server's domain name or IP address in your browser, followed by :8080, you will see your site again (the static elements in the/admin interface, like CSS, won't work yet). When you are finished testing out this functionality, type CTRL-C in the terminal. Running uWSGI from the command line is useful for testing, but isn't particularly helpful for an actual deployment. Instead, we will run uWSGI in "Emperor mode", which allows a master process to manage separate applications automatically given a set of configuration files. In this directory, we will place our configuration files. We need a configuration file for each of the projects we are serving. The uWSGI process can take configuration files in a variety of formats, but we will use.ini files due to their simplicity. Inside, we must begin with the [uwsgi] section header. All of our information will go beneath this header. We are also going to use variables to make our configuration file more reusable. After the header, set a variable called project with the name of your first project. Add a variable called uid which holds yoursudo username. Next, we need to configure uWSGI so that it handles our project correctly. We need to change into the root project directory by setting the chdir option. We can combine the home directory and project name using the same variable syntax. Next we need to specify how uWSGI should listen for connections. In our test of uWSGI, we used HTTP and a network port. However, since we are going to be using Nginx as a reverse proxy, we have better options. Instead of using a network port, since all of the components are operating on a single server, we can use a Unix socket. This is more secure and offers better performance. This socket will not use HTTP, but instead will implement uWSGI's uwsgi protocol, which is a fast binary protocol for designed for communicating with other servers. Nginx can natively proxy using the uwsgi protocol, so this is our best choice. With this, our first project's uWSGI configuration is complete. Save and close the file. Save and close the file when you are finished. Your second project should be ready to go now. We now have the configuration files we need to serve our Django projects, but we still haven't automated the process. Next, we'll create a systemd unit file to automatically start uWSGI at boot. Next, we'll open up the [Service] section. We'll use the ExecStartPre directive to set up the pieces we need to run our server. This will make sure the /run/uwsgi directory is created and that our normal user owns it with the www-data group as the group owner. Both mkdir with the -p flag and the chowncommand return successfully even if their operation is not needed. This is what we want. For the actual start command, specified by the ExecStart directive, we will point to the uwsgiexecutable. We will tell it to run in "Emperor mode", allowing it to manage multiple applications using the files it finds in /etc/uwsgi/sites. We will also add the pieces needed for systemd to correctly manage the process. These are taken from the uWSGI documentation here. We will be unable to start the service successfully at this point because it relies on the www-data user being available. We will have to wait to start the uWSGI service until after Nginx is installed. With that, our first server block is complete. You should now be able to reach your two projects by going to their respective domain names. Both the public and administrative interfaces should work as expected. In this guide, we've set up two Django projects, each in their own virtual environments. We've configured uWSGI to serve each project independently using the virtual environment configured for each. Afterwards, we set up Nginx to act as a reverse proxy to handle client connections and serve the correct project depending on the client request.